So now we need to configure a cloud to connect GNS3 to the laptop. 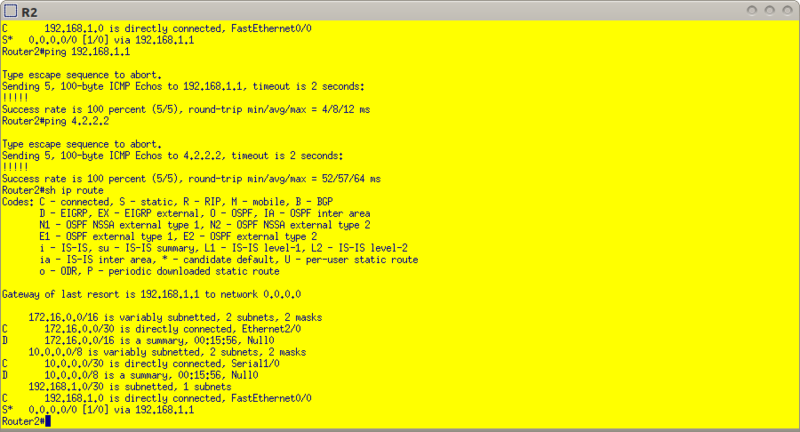 We should already have tap0 up and running and IPtables configured to allow traffic as seen on the previous post. Below is a network topology diagram. We need to create the cloud connecting it to tap0 interface. For that we edit the .net file containing the topology and add the following. 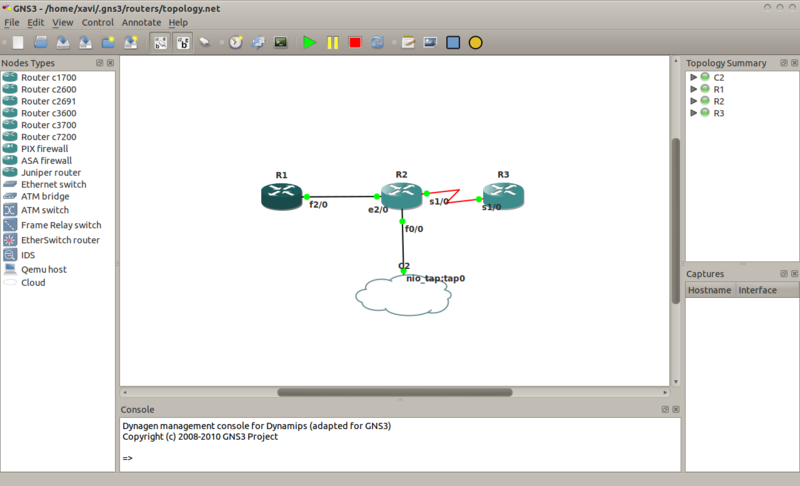 Now save the configuration and restart GNS3. Now there should be connectivity to the gateway (192.168.1.1). To connect to the internet add a default gateway. We can see the connectivity below. Also don’t forget to add the routes on your Linux box for the other routers. This entry was posted in UNIX and tagged Cisco, Debian, GNU, linux, UNIX on September 28, 2011 by Xavi. 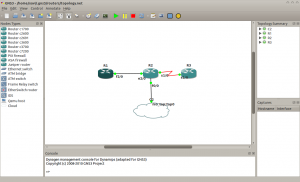 Today I’m going to write about how to connect GNS3 lab to the internet. For this we are going to have to create a tap interface on our Debian box. First thing would be to install the uml-utilities on your Debian box. Once uml-utilities is installed you can execute the following script to bring up a tap interface. We would need to connect this tap interface to the GNS3 simulation. We also would need to configure iptables to allow routing on the Debian box. For that we need to execute the following script. 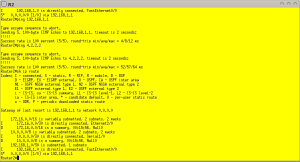 In our next post we would configure the GNS3 simulator. Comments are always welcome. This entry was posted in UNIX and tagged Cisco, Debian, GNU, linux, Open Source, UNIX on September 27, 2011 by Xavi.